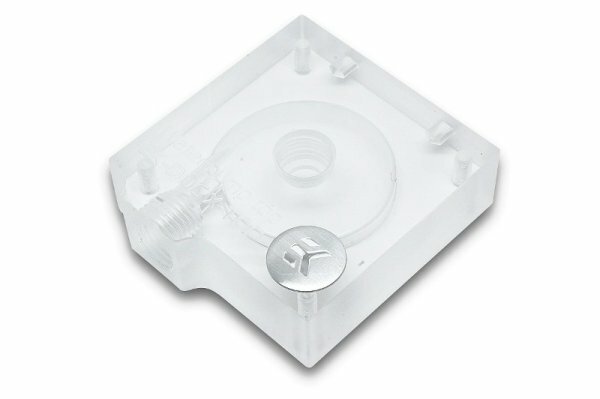 High performance aftermarket pump top for Laing DDC series water pumps. This top offers increased hydraulic performance (up to 15%) compared to factory top. This top also features two G1/4 threaded ports which allow installation of virtually any G1/4 thread fitting / barb. EK recommends EK-ACF series compression fittings. 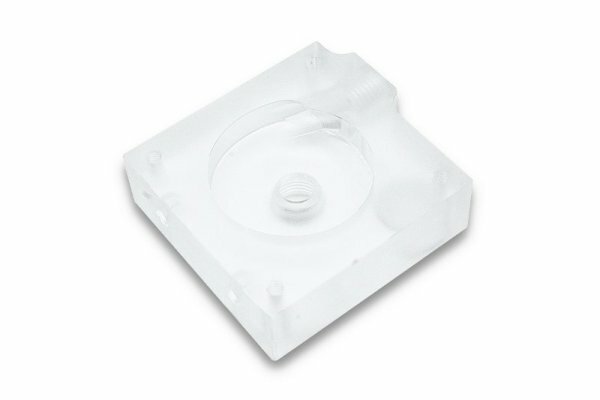 Top is made of quality Acrylic material, retention screws and installation manual are enclosed. Made in Slovenia – EU!